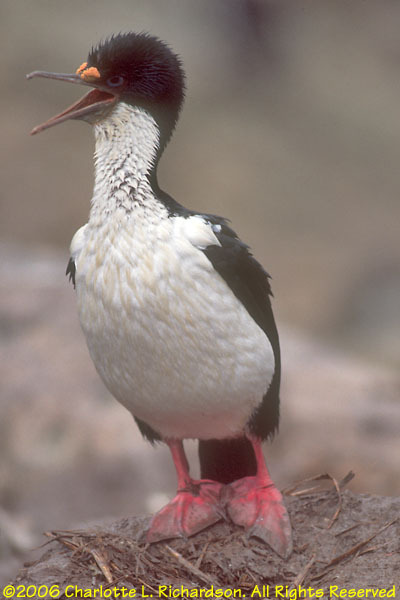 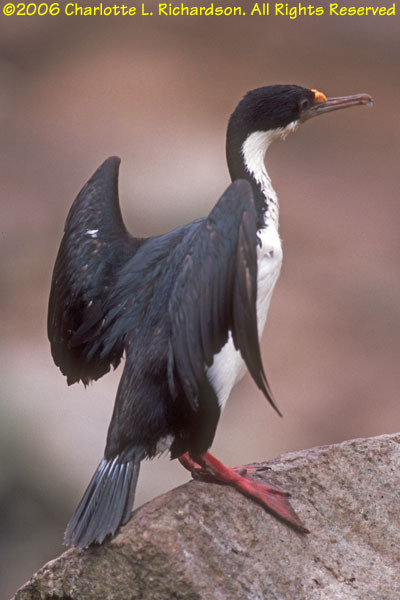 Cormorants are called "shags" in Britain. 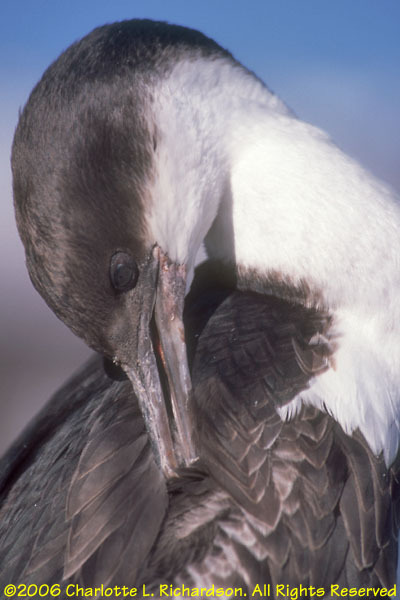 The orange growth (caruncles) at the base of the beak and the bright blue around the eye fade after breeding season. 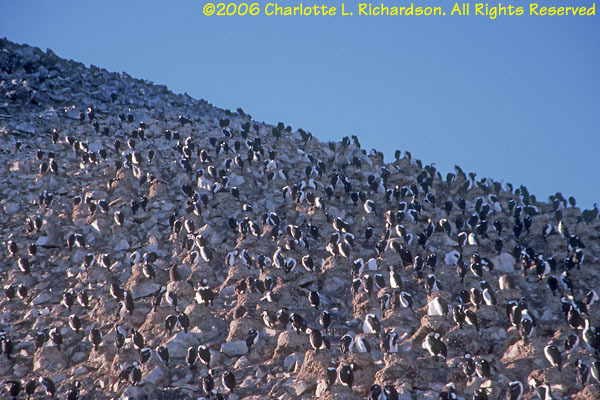 They are rarely seen out of sight of land. 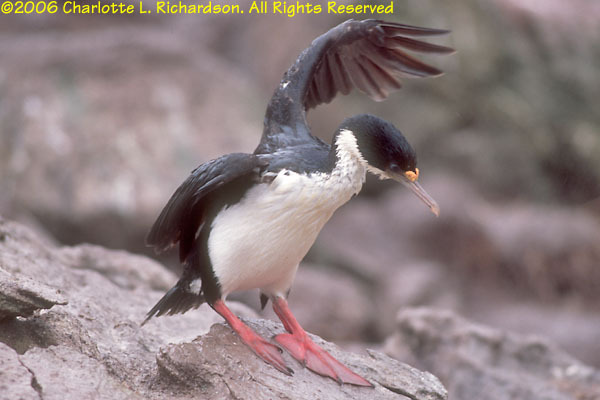 Cormorants are expert divers and can dive to great depths with their strong webbed feet. 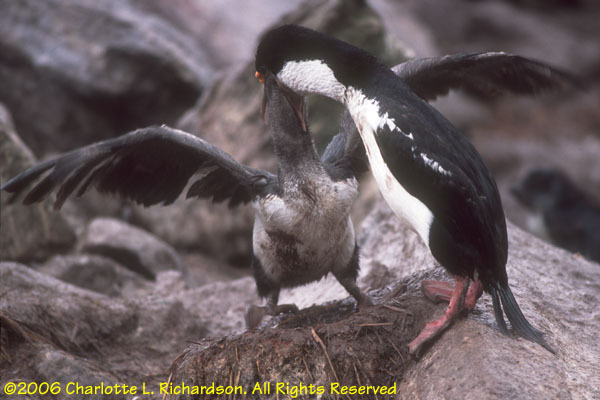 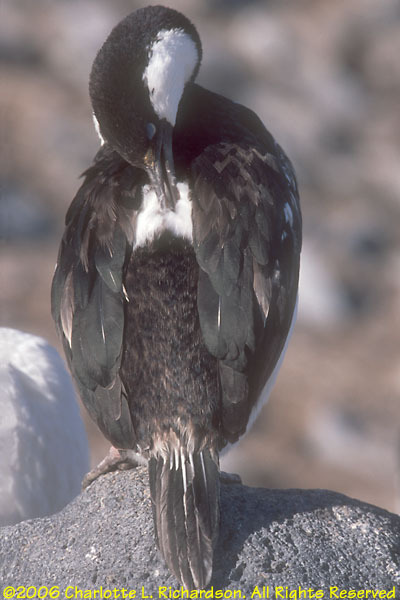 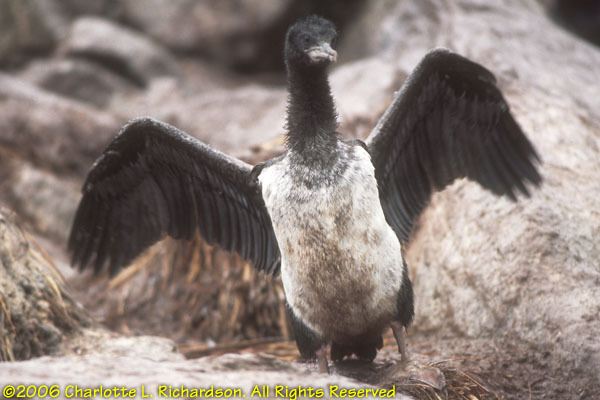 They do not spread their wings out to dry after diving like temperate-climate cormorants do. 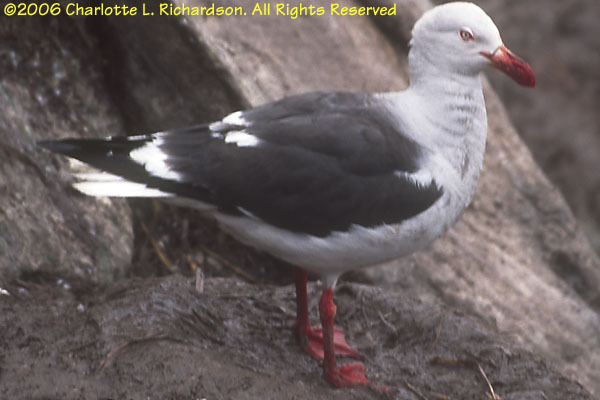 This is the only true gull of the Southern Ocean. 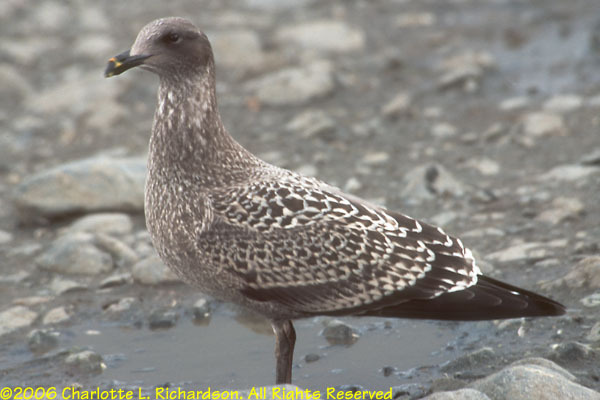 They scavenge from petrel and skua kills and in penguin colonies, but mostly eat limpets. 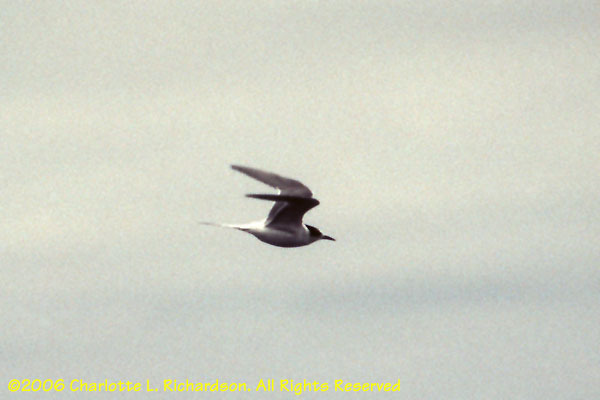 These terns breed and spend their entire lives around the southern islands. 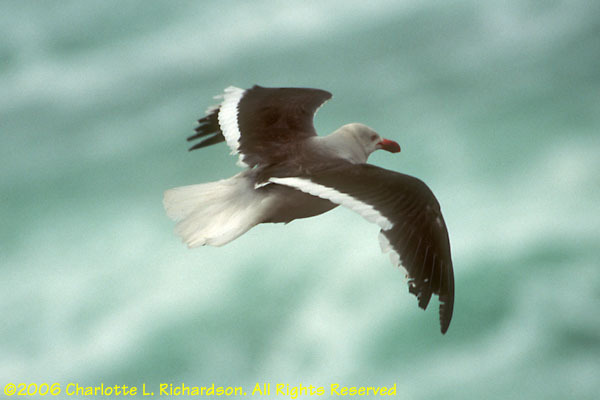 Arctic terns migrate to the Antarctic during the northern winter.